All eyes are on a once-in-a-generation player, about to join a once-proud franchise looking to turn a corner. When Connor McDavid strides across the stage this week in Sunrise, Florida, he will join the likes of Bobby Orr, Guy Lafleur, Wayne Gretzky, Mario Lemieux and Sidney Crosby. It’s almost unimaginable how the fortunes and optimism of a city and an organization can turn the minute a “generational player” is all but locked down for a hockey team. If you haven’t heard, by now, Connor McDavid is lined up to become hockey’s “next one” for the team that was the home of “The Great One.” For at least the past three years, the hockey world has been abuzz about the kid from just outside Toronto. For every Crosby and Lemieux, there is an Alexander Daigle and Greg Joly waiting, but every hockey expert from Moscow to Moose Jaw has the 18-year-old poised to be hockey’s next all-world, all-consuming, all-watching, talent. Fans, players and executives of the NHL are on pins and needles to see just what kind of impact the kid will have on hockey, and especially on one of the most success-starved franchises in the league. 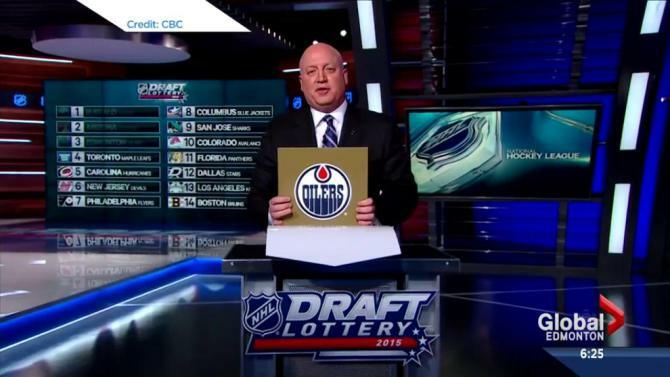 Seven days before the 2015 NHL Draft Lottery on April 18th, the Edmonton Oilers completed another embarrassing and painful season, finishing 24-44-14. For the third time in their past six seasons, the team had finished at least 20 games below the .500 mark, and 2014-15 marked their ninth season in a row without a post-season appearance, which only the Buffalo Bills and Minnesota Timberwolves could truly envy. 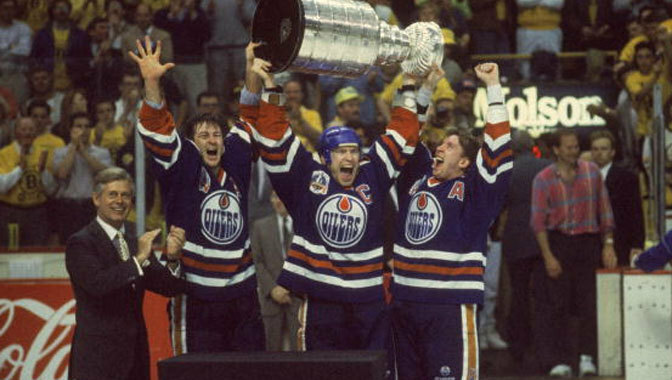 The Oilers were once one of the most enviable franchises in sports. 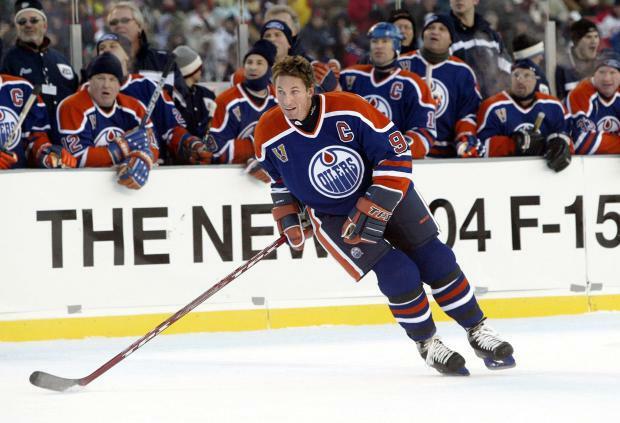 Borne out of the ashes of the old World Hockey Association, the 1980s in Edmonton were the epicenter of a hockey renaissance thanks to Gretzky and Messier and the team’s legendary Stanley Cup run that featured five wins in seven seasons. Like all great teams, the success faded in the mid-90s, but with some savvy trades of their fading and expensive stars, they climbed out of the basement and returned to some measure of competitiveness. Always battling for a playoff spot at the bottom rung of the conference standings, the team remained relatively competitive, but never enough to truly satisfy the fan base, which hadn’t seen a conference final in 14 years since their last appearance in 1992. The run eventually became the organization’s biggest Achilles heel. While it bought the overlord of the franchise, former Oilers defenseman Kevin Lowe, more time, all it really did was expose that the team, the media and the fan-base were living in the past with no plan for the future. Over and over again, and with seemingly every hire of a former player, the organization became the most incestuous and ineffective old boys club in sports. 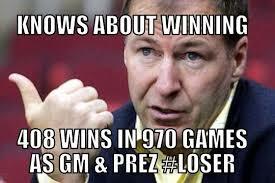 The nine years of hell that this organization put their fan-base through featured a parade of ineffective and puppet coaches, one of the worst draft records by any team in any 10-year time frame outside of the first round, a pro and amateur scouting department that some estimate was 20 years behind the times, and an incompetent management team more interested in protecting their own personal legacies than making the moves necessary to get the franchise moving forward. Since the glory days, the ‘small town’ attitude that has pervaded the organization is ultimately what sent this once proud franchise into irrelevance and laughing-stock status. The culture of the team became so toxic that any dissension in the media (including threats to pull media accreditations), among the fans or within the organization was defined as treasonous disloyalty. The Oilers have been so pathetic in the past decade that in spite of three first overall picks since 2010, the team became the biggest laughing-stock in hockey, with seemingly no way to get out from under it. It’s the type of environment where an absentee billionaire owner who lives 12 hours away was given a free pass, and the local media, the organization and large groups of the fan-base continued to believe that the organization was always just ‘one or two players away’ thanks to a media strategy that featured an endless string of news conferences and tributes to the past with an unending parade of jersey retirements, all designed to placate the fans, but offer nothing in terms of anything resembling a ‘plan’ for the future beyond being in the draft lottery every year. In spite of a wealth of draft talent in the first round, including three first overall draft picks in a row from 2010 to 2012, management literally had no answer. In fact, the amazing culture that was the lifeblood of the team during its heyday had become its ultimate undoing, all culminated within the last two years, and it all started with yet another news conference. 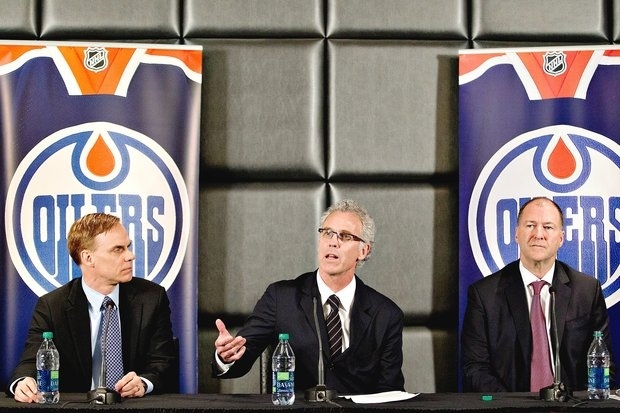 It was April 2013, and the Oilers were announcing the re-hiring of former golden era stalwart Craig MacTavish as GM. A former assistant and head coach who only generated three playoff appearances in eight seasons was now given the reins of the franchise as the General Manager, with zero experience at a management level and with his best pal Kevin Lowe as President of Hockey Operations, there was no clear line of demarcation. Perhaps the only demarcation was to take the heat off of Lowe, who was already starting to have his credibility questioned leading into what the organization tried to call a ‘fresh’ hire. Lowe started as a player, but has held virtually every title you can think of: Assistant Coach, Head Coach, General Manager, President, President of Hockey Operations, etc. But it was what happened during that news conference that ultimately led to where we are today. Lowe, when questioned about his abysmal record as a hockey executive by a local reporter, literally went off with the arrogance, incompetence and horrific culture that had driven this team for years. The only missing element was this fact: Lowe won his last Cup as a player 21 years ago, and outside of the lightning-in-a-bottle 8th place finish, and the miracle in 2006, he’s pretty much been as close to the Stanley Cup as an executive as I have to becoming the career all-time passing leader for the Dallas Cowboys. It was this news conference where the cracks started to form. The management team’s worst coaching hire followed (Dallas Eakins), and two more lost seasons, but it was after his “I know something about winning” comment that Lowe and MacTavish were doomed to the fan-base. The fan-base was getting louder with their second year of demanding changes at every level, took to buying advertising, campaigning on social media, producing bumper stickers and holding rallies in bars. 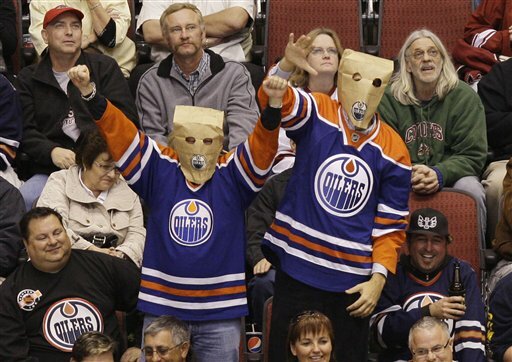 After more than a decade of incompetence solely based on the myth that only former Oilers could run the franchise, the fan-base finally grew up and demanded better. Nearly 20,000 people signed up on social media, advertising was purchased, and even the media, who protected the regime more fiercely than the regime itself, had started to raise questions. As the end of the 2015 season approached, one would think that the optimism of a new state-of-the-art arena would help, but even a new building set to open for the start of 2016 was clouded by the performance of the team and many fans openly complaining about how the new arena should be empty based on the performance of the team. But then, April 18th happened, and with a slightly better than one chance out of 10, they pulled off what some are calling a miracle, and some have even wildly suggested that they pulled off the crime of the century. While there was no sketchy, and some say culpable, Zapruder Film like in 1985 with David Stern and the NBA Lottery, those who love a good conspiracy theory believed they had some mileage when you consider how abysmally the Edmonton Oilers have handled the development of four first-round draft picks in just six years (Taylor Hall, Jordan Eberle, Ryan Nugent-Hopkins and Nail Yakupov), and they have an arena to fill. It was a beautiful attempt based on the parallels, but outside of Gary Bettman and the Oilers brain trust checking the envelopes personally during the live broadcast, this lottery will never reach the conspiratorial heights of Stern in 1985. 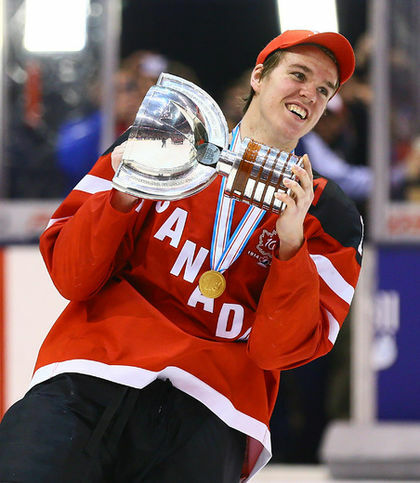 As this was happening, Connor McDavid had completed a 120-point season, the endorsements of every hockey ‘expert’ from coast to coast, and picked up every major junior hockey award you can fathom, including a gold medal at the World Junior Hockey Championship, and the MVP, Scholastic Player and Prospect of the Year trophies. Just as the announcement of the Knicks in 1985 sent shock waves, consider the impact in Edmonton; the McDavid effect is no small force. Prior to April 18, the management team had vowed to stay the course, building slowly and deliberately while offering no insight on the timetable for when the team would be competitive again, in spite of the treasure trove of first-round picks. This was a team that prior to April 18, wasn’t changing any aspect of their organization, but, when a player who recorded 285 points in 166 games in Junior fell into their laps, the team realized that rather than meander as it had the last nine seasons with no palpable results, its entire future was firmly at hand. After the envelope was unsealed, six days later, Craig MacTavish was fired as GM (although he took a lesser role as “Assistant GM”) and replaced with Peter Chiarelli, who built the 2011 Bruins Stanley Cup championship team. The team’s CEO and defacto leader of community-based projects was fired. The new arena, which was shrouded in controversy and bad press over the seemingly ‘bad deal’ between Edmonton’s City Council and the Oilers, was suddenly and inexplicably the first answer when it came to ‘good news’ about the city. Less than a month after that, the team had a new head coach (Todd MacLellan, ex of San Jose) who is clearly his own man, and who brought in his own assistants. Past coaching staffs were formed by management, and the coach was “given” his assistant coaches. As a close friend of the owner Daryl Katz, who became pals in the glory years, the hiding and protection afforded to Lowe and his changing titles brings to mind how in the movie Casino, Robert DeNiro as ‘Ace’ was given every job title under the sun to ensure he could stay on to run the place. Seemingly, and on paper, he has been removed from all connections to the hockey team, and for many observers and fans of the team, fingers are crossed as the failings of this franchise for the past decade fall squarely at the feet of Lowe. Oilers fans are certainly hoping the latest change in job title actually means something this time, and keeps him away from the rink. 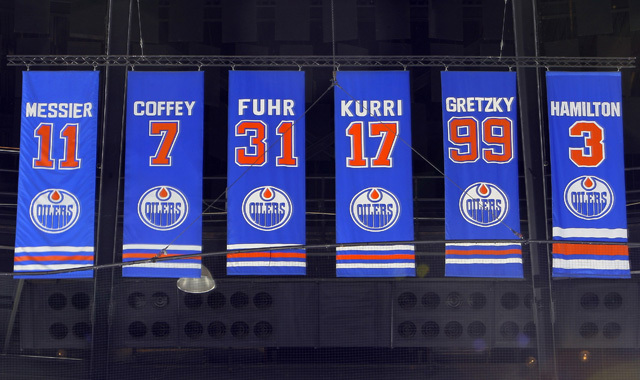 So as the Oilers plot a return to greatness, in just a few days, a pimply-faced kid from just outside Toronto will put on a ballcap and shove his head through a jersey, and once he emerges and the flashbulbs pop, an entire organization and a long-suffering fan-base holds its breath. Then the expectations start. Here’s hoping this kid is ready and truly knows what he’s in for. But either way, an entire city and an entire sport, waits and wonders. Kevin Donnan is a regular contributor to The Scoop and is a sports obsessed and self-confessed Pop Culture idiot savant trapped in a frozen, northern wasteland, yet, loves all things Texas and is the most “American” Canadian who has ever lived above the 49th parallel.